Is there a better alternative to Space Exploration? Is Space Exploration really the best app in Adventure category? Will Space Exploration work good on macOS 10.13.4? 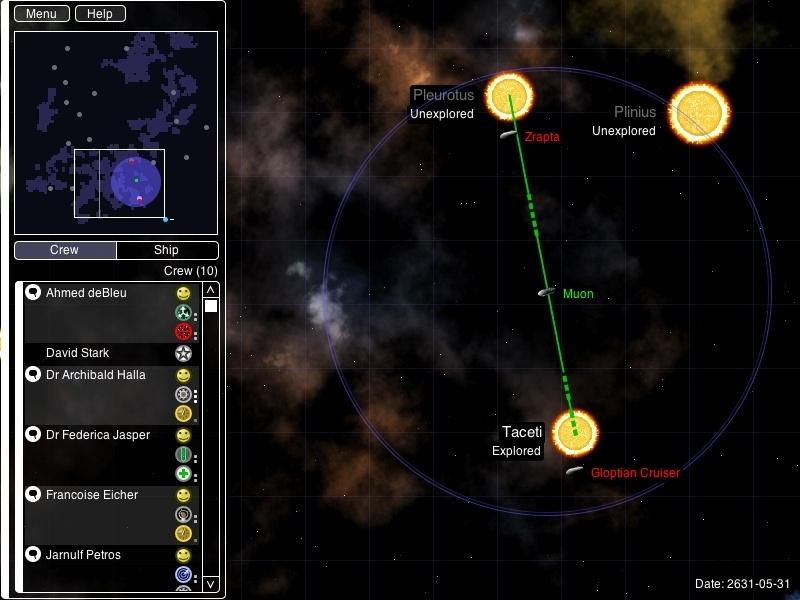 Space Explorationis an upcoming RPG by Metal Beetle Ltd. It's a work in progress, but you can download a development preview now. In SE:SS, you are tasked with charting the long-abandoned Serpens Sector, a region of space reached through a wormhole near Earth. Each star system you visit brings you an encounter with something - ancient ruins, other humans and many dangers. The map and encounters are chosen at random for each game, which means that each game plays out differently. The intention is to release the base game for free, and create expansion packs for sale. Space Exploration needs a rating. Be the first to rate this app and get the discussion started!